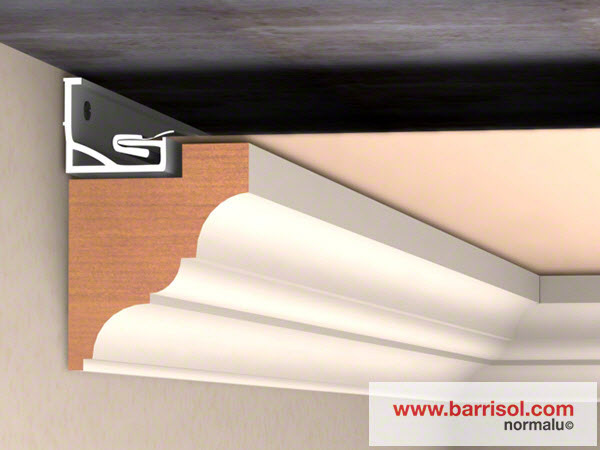 Composed of a Barrisol Tradition track and cornice out of samba wood to be painted or varnished. 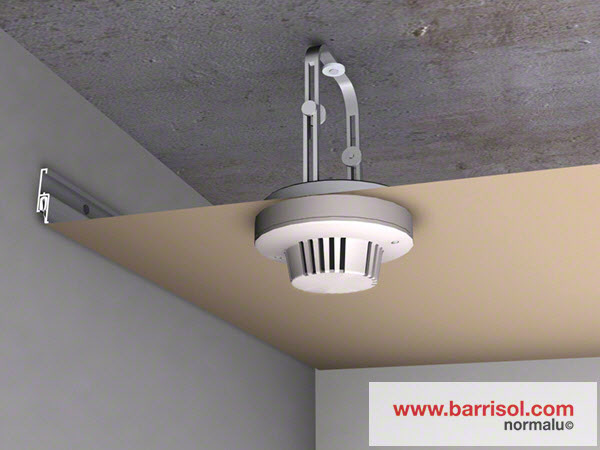 The ceiling Barrisol Star adapts to the height left by the shape of the cornice for its installation. 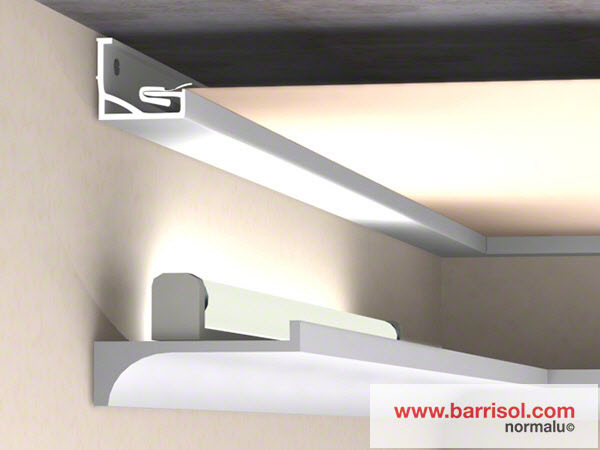 Lighting cornice, placed at 200 mm of the wall, diffuses its light on the matt or satin ceiling. 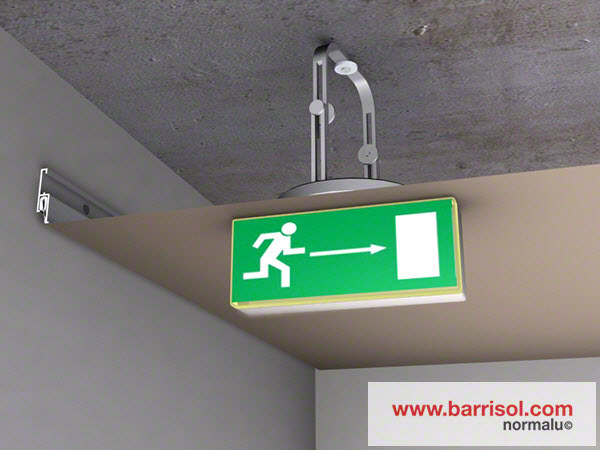 Barrisol Star Tracks are fixed at the existing ceiling. 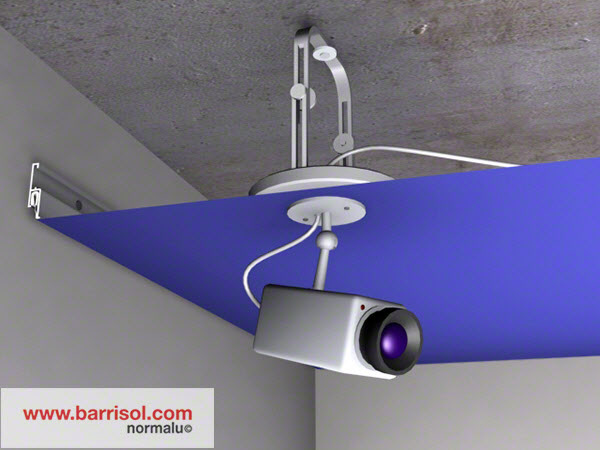 The ceiling is stretched beam to beam. 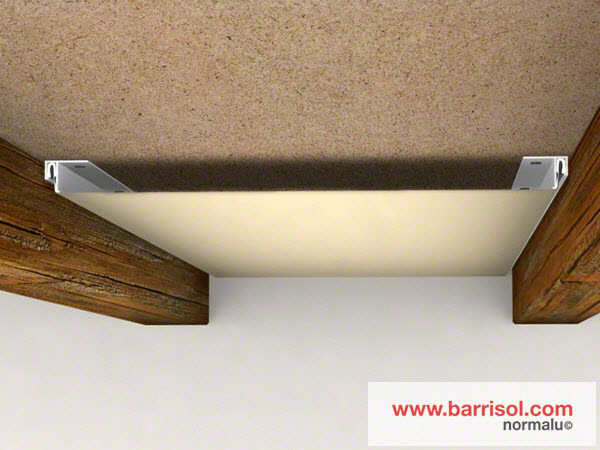 Resistant and aesthetics for a remarkable finishing of the Barrisol Tradition and Barrisol Star ceilings. 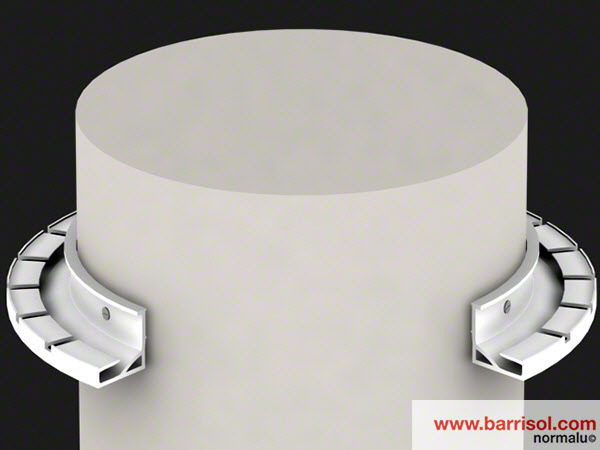 For pipes of water, electricity, heating... etc. 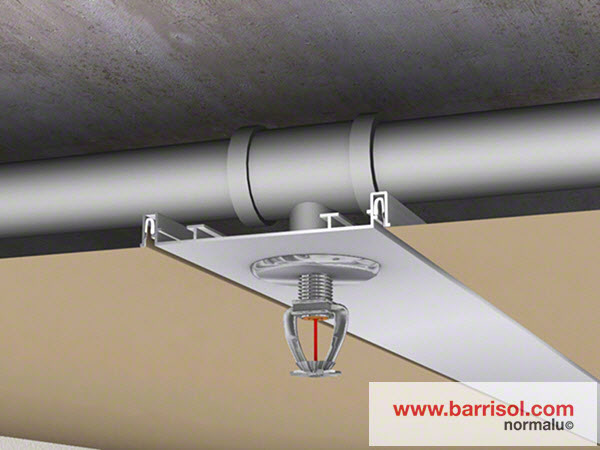 The stretch ceiling, reinforced of a resistant translucent plate, circumvents the pipes. 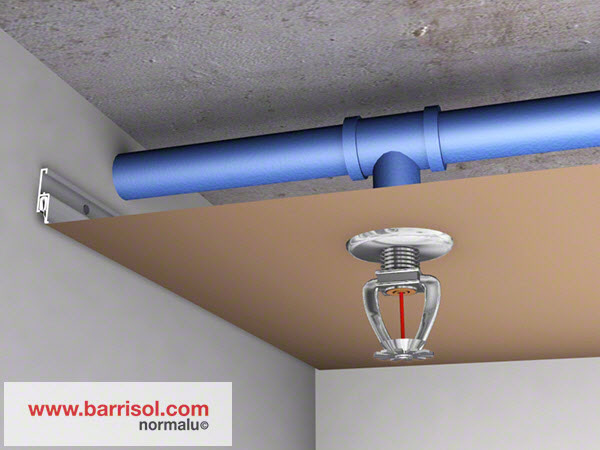 The system is not visible after the installation. 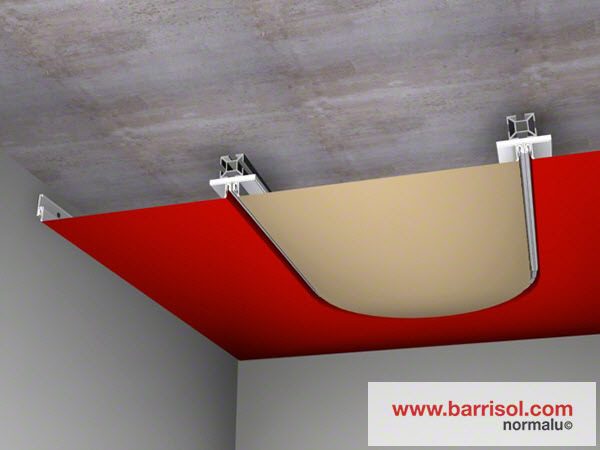 Stretch ceiling reinforced by a translucent plate and insert in a Barrisol Tradition track. 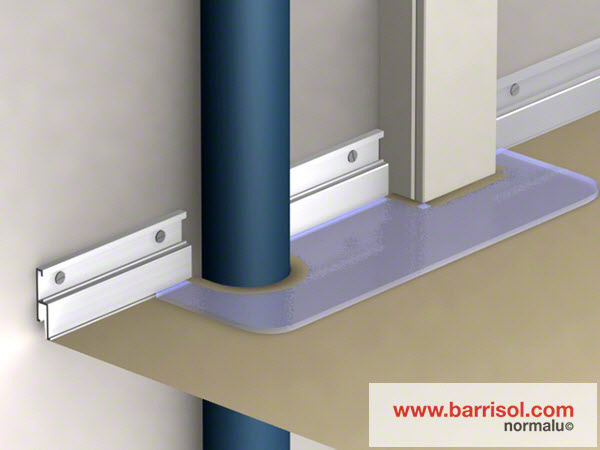 Barrisol Star Tracks are pre-notched for an exact adaptation to the circumference of the pillars. 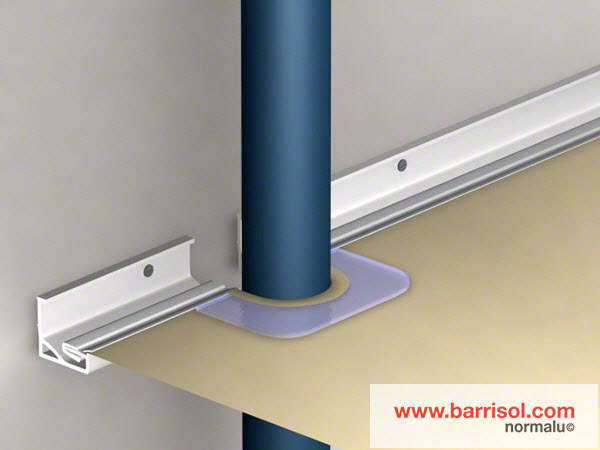 Barrisol Tradition Tracks out of PVC are curved in factory to the measurements of the pillars and columns Connection of the tracks by aluminum sleeve. 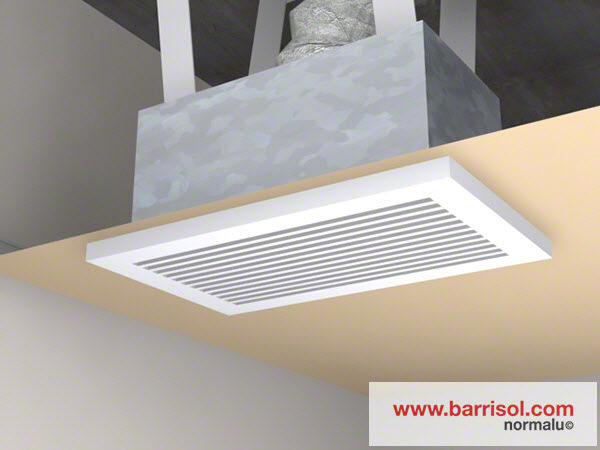 Many decorative possibilities can be considered by the installing a Barrisol Star ceiling in another Barrisol Star ceiling. 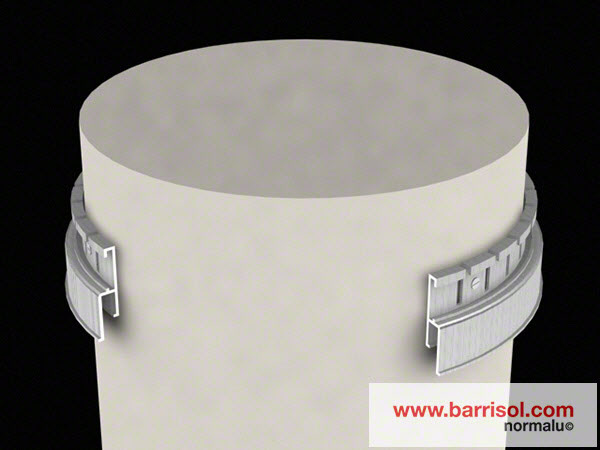 Barrisol Star tracks for embedding of the duo Barrisol Star. 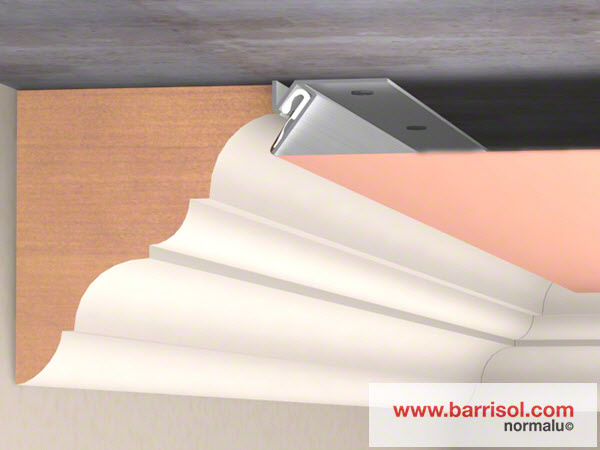 Sky-lights, roof windows, rolling shutters, inspection panels are embedded in the Barrisol Tradition and Barrisol Star ceilings.